Most fruits and vegetables are both pretty and nourishing. A plump tomato on the vine is an invitation — to make salsa, create a salad or liven up a sandwich. While it’s still on the vine, most people would undoubtedly think of that tomato as alive, but in fact, even after picking, fruits and vegetables remain alive. It’s that very quality, however, that contributes to spoilage and loss of nutrients. After picking, fruits and vegetables continue to breathe. This process, called respiration, breaks down stored organic materials, such as carbohydrates, proteins and fats, and leads to loss of food value, flavor and nutrients. Produce will lose heat from this respiration as well as moisture, which is one way nutrients are lost. Warm, dry air can speed this process considerably, so keeping produce cool and moist is beneficial in most cases. Asparagus, broccoli, mushrooms, peas and sweet corn have a very high respiration rate and will lose nutrition and flavor more quickly than apples, garlic or onions, all of which have low respiration rates. The longer produce has to breathe before it is consumed, the less likely it is to retain nutrients. The Harvard Medical School Center for Health and the Global Environment notes that food transported long distances is not likely to be as nutritious as food grown and consumed locally. Enzymes in plants cause loss of nutrients and color, as well as flavor changes. If not inactivated by blanching — cooking a short time in boiling water, then plunging into ice water — enzymes will continue to change the composition of produce. If you cut an apple and expose it to air, you will notice that it turns brown, or oxidizes. This color change is the result of enzymatic activity. The browning is a sign that nutrient value is also dropping and is a prelude to decay. Another potential source of nutrient loss has to do with whether produce was ripe at the time it was picked. 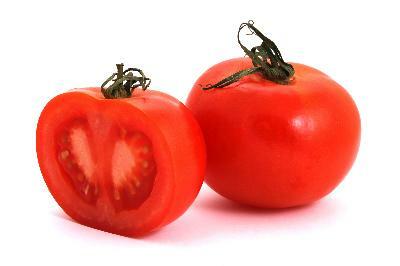 Climacteric crops, such as tomatoes, can be picked before full ripeness. The fruit may attain full color after picking, but it will not attain the highest nutrient levels. According to the Harvard Medical School Center for Health and the Global Environment, total vitamin C has been shown to be higher when the tomato is picked ripe from the vine. The Center for Health and the Global Environment recommends choosing produce that is as fresh as possible. If you can’t grow your own, look for local farms or growers. The center also notes that buying locally increases the chances of nutritional diversity and decreases the amount of handling, since local produce is commonly picked by hand rather than machine. Minimal handling means less chance of contamination, which can increase the rate of decay.